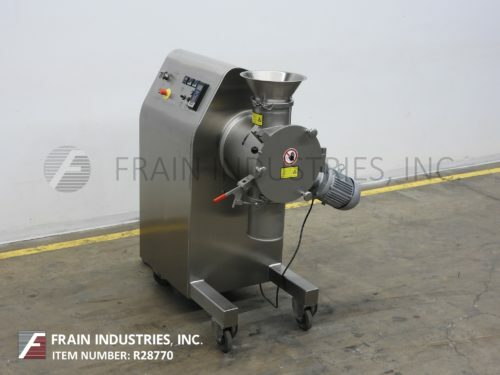 Collette Model GRAL 75, high speed, high shear 316 stainless steel, vertical granulator, with gross capacity of 75 liters and working capacity of 60 liters per batch. 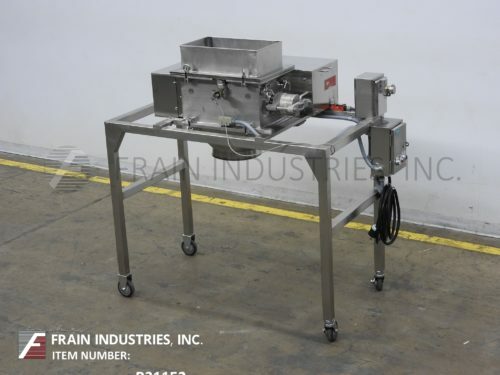 Jacketed and vacuum mixing bowl with dimensions of 20" ID x 14" Deep. 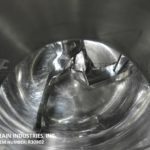 GAMP (good automated manufacturing practice) design for 25% less granulating liquid use resulting in reduction time in drying with no wet sizing required and has (2) ¾" NPT side / bottom jacket in / outlets. 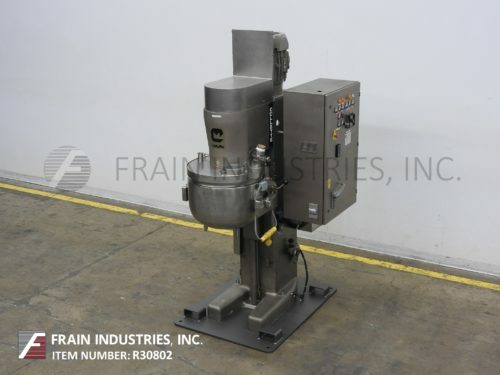 Equipped with hydraulic lift up top cover with 4¼" ID site port, 16" OD (3) blade anchor style mixer with 8" long x 2" wide blades and 6" OD (4) blade high shear mixer with (4) 3" long x 1" wide blades powered by 7½ Hp belt to motor drive. Control panel with push button start / stop, analog timer and push button up / down. Sign up for our newsletter to receive the latest in packaging tips, case studies and more.